Motorcycle racing started at Brooklands in 1908 and the British Motorcycle Racing Club - known as 'Bemsee' from its initials - was founded in 1909. Sidecar outfits joined the solo machines for racing and record breaking from 1912. The attendance at Brooklands motorcycle events was initially quite small, being mostly knowledgeable enthusiasts, and lacked the ‘Society’ element of the car racing crowd. However, an established pattern of race meetings emerged, speeds rose, the reliability of machines improved and a growing audience became attracted to motorcycle races. 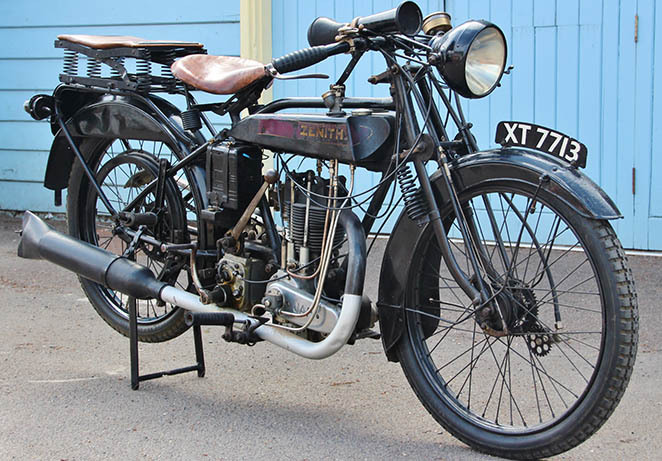 During the First World War motorcycles for the armed forces were tested at Brooklands and two races were held for men serving in the Armed Forces: the ‘All Khaki’ Meeting held in August 1915 and the ‘United Services’ Meeting the following month. 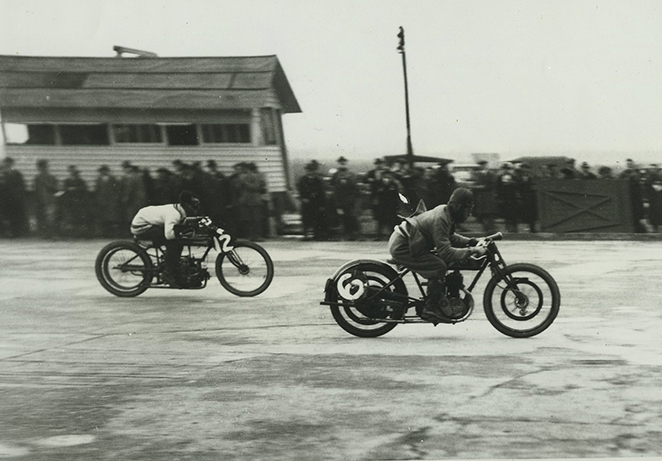 When the track reopened after the First World War, Brooklands was to witness the golden age of motorcycling when British racing motorcycle was the best and fastest in the world. 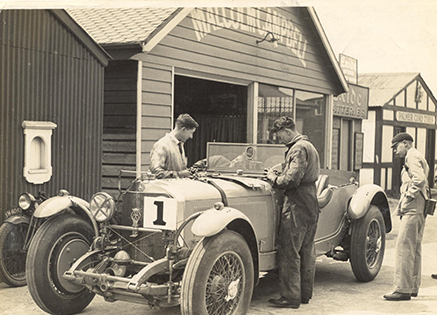 The showcase long distance races such as the Hutchinson 100 and the Brooklands 500 Miles Race were the highlights of the racing calendar, whilst the growth of clubman racing saw many more people being able to take up the sport, including the first ladies race in 1928. 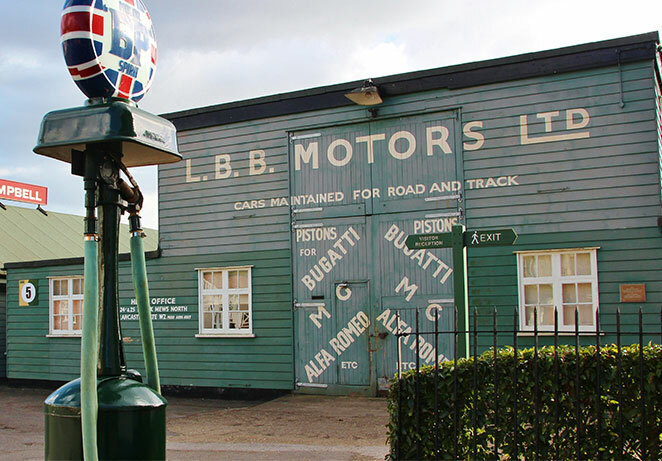 Brooklands became the home of many motorcycle riders as workshops sprang up around the paddock with names of men and machines painted on the doors. Eric Fernihough, who went on to take the Motorcycle Land Speed Record, had a garage by the perimeter of the track on the Byfleet Road. In 1933 ‘The Motorcycle’ magazine instituted a Clubman’s Day Meeting which proved an enormous success, continuing the growth of clubman racing. This was aided by the opening of the Campbell Circuit in 1937 which added a more exciting alternative to the Outer Circuit. 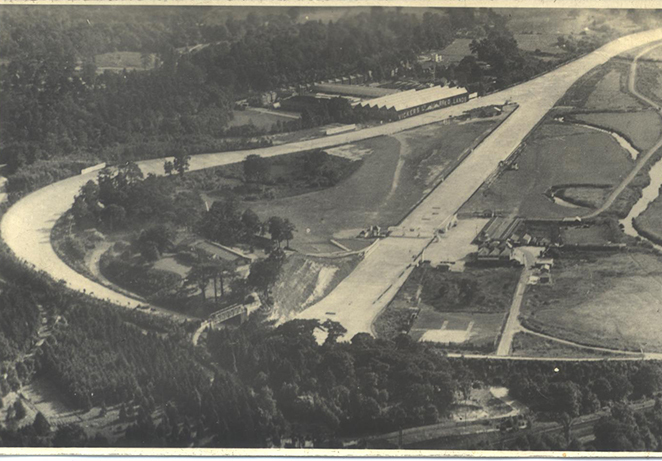 Whilst international record breaking had largely moved to the smoother Montlhéry circuit, the Brooklands Motorcycle Outer Circuit Lap Record was still keenly contested throughout the 1930s. 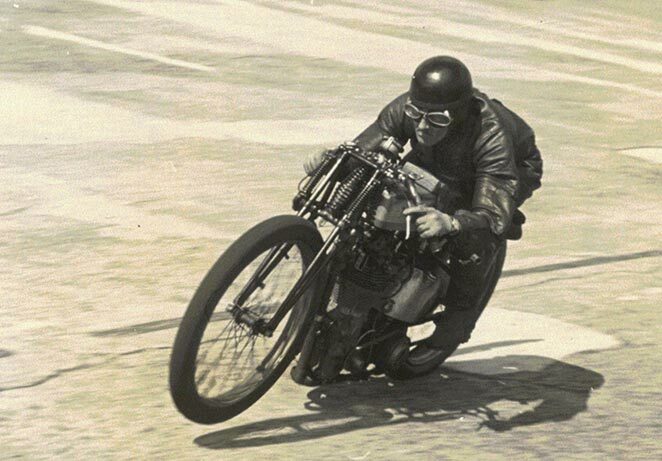 Eric Fernihough raised the Brooklands lap record to 123.58mph in 1935 with his Brough Superior, only to be topped by Noel Pope at 124.51mph in 1939.